Arayot – getting excited for Ketzev! After a rainy but relaxing שבת, and a cold Sunday, the warm and sunny weather of Monday morning was a welcome change. Everyone in camp used all of their warmest clothing over the weekend and was finally ready to wear shorts again. The past few days, Arayot has been relentlessly preparing for קצב (Ketzev- songs and dances performed at an old age home and at Hebrew College) coming up on Thursday. The חניכים (campers) couldn’t be more excited for the upcoming day. 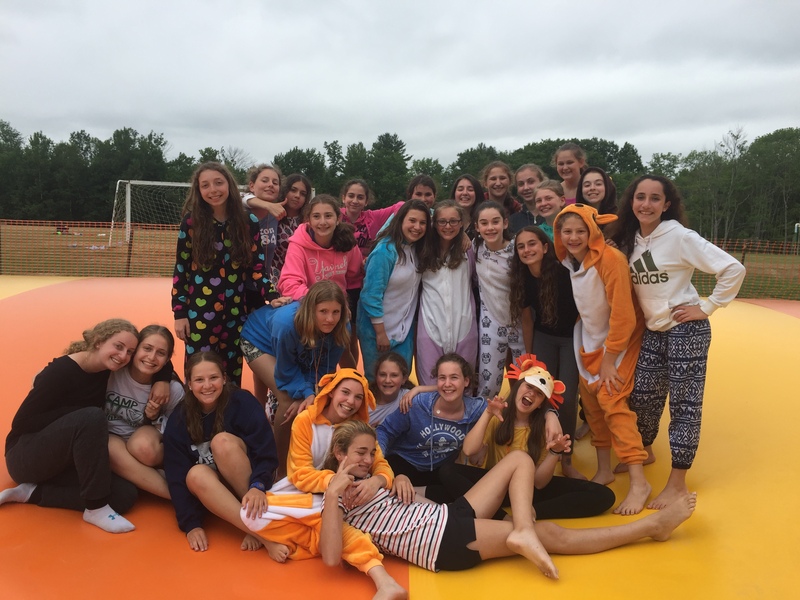 Each צריף (bunk) has learned a dance with Marcelo, camp’s A rgentinian ראש ריקוד (head of dance). The בנות (girl’s) dance includes complicated hand motions and fun hats, while the בנים (boys) use drums and tambourines. All together, the עדה (age group) is going to sing an Israeli song called סימנים(Signs), which will be the broader theme applied to קצב. The song will also be used as their שיר ישראלי (Israeli song) for Zimriyah (all camp singing competition) later in the month. There will be a small song with harmonies, a band singing a re-written version of Let Her Go by Passenger, and an art piece that will serve as part of the performance, but also as a way to connect all of the different sections of the performance. Last night, the Kerem (oldest עדה and counselors in training) that are assigned for Arayot helped plan פעולות(activity) for the בנות and the בנים. The בנים played a rotation of lawn games, including Spikeball and Kanjam, as well as games of of knockout while the בנות participated in a Project Runway פעולה. This week, we’re looking forward to our in-camp אחלה יום (special day) on Wednesday and then, after so much preparation, קצב on Thursday!